Developing crops that are better adapted to abiotic stresses is important for food production in many parts of the world today. Submergence stress because of flash flooding is one of the major constraints to rice production in south and southeast Asia.. Submergence-1 (Sub1), a major quantitative trait locus affecting tolerance to complete submergence in lowland rice (Oryza sativa), contains ethylene response factor (ERF)–like genes whose transcripts are regulated by submergence. Recently the Sub 1 QTL has been introgressed in highly submergence susceptible cultivar Swarna and the Swarna-Sub1, which has been the most popular Sub1 variety to date and has been well accepted by the farmers. 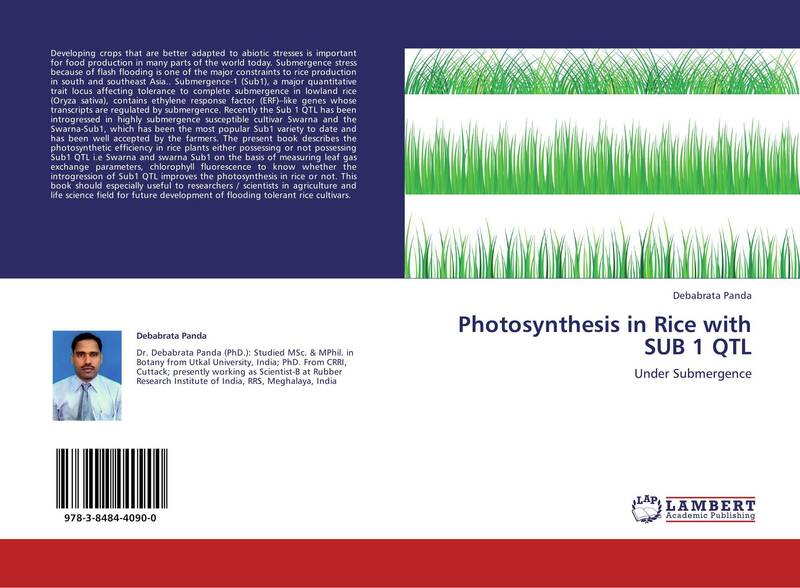 The present book describes the photosynthetic efficiency in rice plants either possessing or not possessing Sub1 QTL i.e Swarna and swarna Sub1 on the basis of measuring leaf gas exchange parameters, chlorophyll fluorescence to know whether the introgression of Sub1 QTL improves the photosynthesis in rice or not. 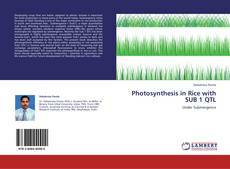 This book should especially useful to researchers / scientists in agriculture and life science field for future development of flooding tolerant rice cultivars.